Septic tank biogas system-2008884213-Shenzhen Puxin Technology Co. Ltd. 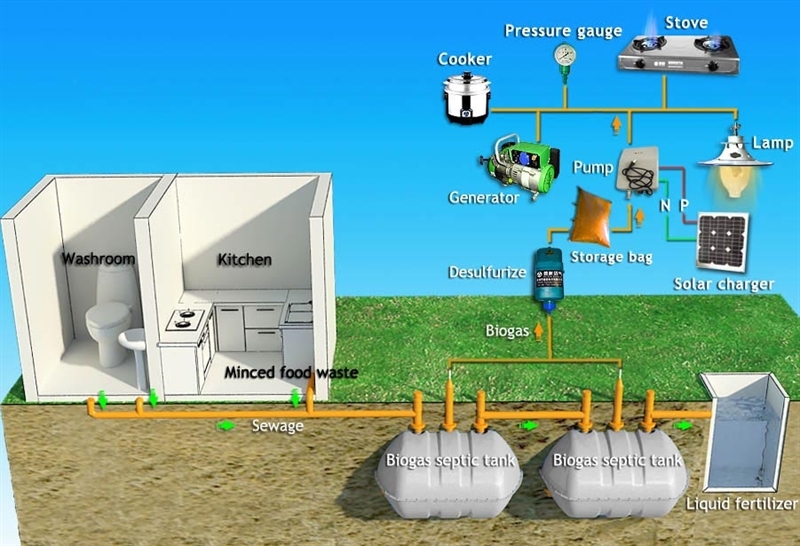 The system is used to process sewage water and food waste andis mainly composed of 12 biogas septic tanks, a liquid fertilizer storage pool, and the biogas utilization system. 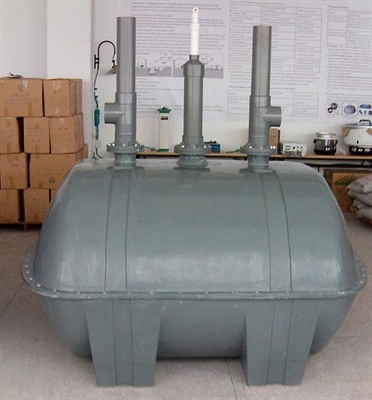 The biogas septic tank is 2m3 in volume and is made with fiber glass reinforced plastic. The biogas septic tank is composed of an upper part and a uner part that are connected byscrew bolts. The upper parts and under parts can be stacked up for shipment. The biogas utilization system is composed of a desulfurizer, a gas storage bag,a gas pump, a solar charger, a pressure gauge, gas pipeline and biogas appliances (stove, rice cooker, lamp and generator etc) . 2.Can get clean liquid fertilizer that can be used for gardening. 3.Biogas is collected and used. 4.Easy and quick to install.